T-Mobile has confirmed the release of Android 2.2 for its HTC Desire customers, telling TechRadar "we are aiming to roll out in September," adding that the network is unable to give a specific date at this stage. 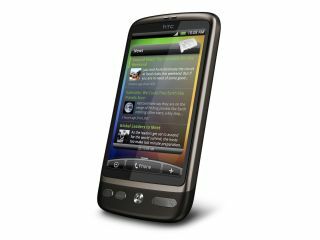 HTC itself earlier today announced that the over-the-air rollout the Android 2.2 update to HTC Desire phones would begin this weekend for unlocked phones. "Operator specific versions of the update are undergoing testing and we expect to make them available in several weeks' time," said HTC. And T-Mobile seems to be first out the gate with confirmation that it'll be bringing it to its handsets. Android 2.2 - or Froyo to its friends - brings a host of new features and functionality, including making your mobile a WiFi hotspot and support for Flash. The HTC Desire is one of the flagship Android devices, a close brother to Google's own Nexus One, and the latest firmware will be very much appreciated by owners of the handset.